Ryan Lochte has become the new US hopeful to win Gold in the upcoming Special Olympics Women’s Swimming competitions. Recently Lochte was self-diagnosed with blurry vision in his right eye, sometimes requiring an eye patch during the day, and is now a viable hopeful for the special Olympics. Right around the same time he also came out as a woman sending shock-waves through the athletic scene as once again millions of Lochte fans are celebrating. 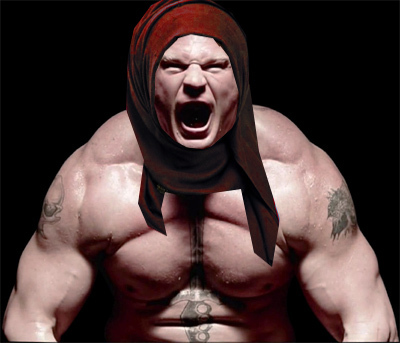 Incredibly he is now a favorite to win gold at the special Olympics as he will be lined up next to the fastest special female swimmers in the world. A Facebook fan page of progressive Lochte fans who have been encouraging his self-disclosure of his sexual orientation pushing the hashtag #LessHateMoreTolerance is now pushing the new hashtag #CrushTheCrapOutOfThoseLosers. They will break your kid’s neck! It’s the new left movement. A video witness testimony posted at lifesitenews.com revealed that planned parenthood is willing to lie about your babies condition and then later deliver the living soul and soon after break it’s neck to help facilitate a murder. Millie Weaver recently reported that she was able to schedule an abortion with Planned Parenthood in her 9th month of pregnancy for self diagnosing symptoms of depression. Obviously she didn’t wanted to terminate her pregnancy but rather wanted to see how far the liberal/left is willing to take their baby murdering campaign. The progressive Democrats are fully supporting these murders. 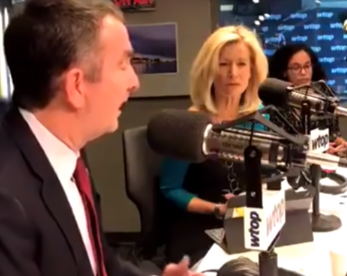 Virginia governor Ralph Northam talks about how he would have a discussion about killing the baby following a delivery on a VIDEO INTERVIEW while trying to pass a bill which would allow it. Lots of people think the end game is to sell the body parts and blood for big money. Even the Clinton’s are linked to it with the company Ambrosia Health which talks about transfusing young blood into old people for longevity. 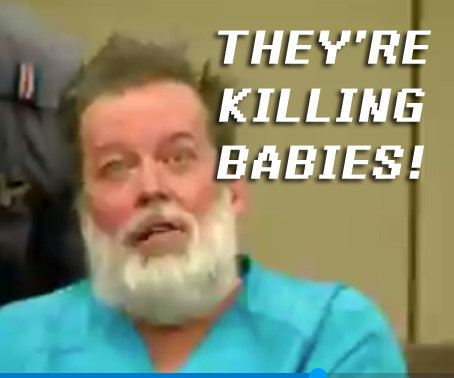 Remember the guy who attacked the Planned Parenthood workers in Colorado Springs? Robert Lewis Dear was considered a mental case for trying to stop the killing, extraction of body parts, and show America what was going on. Although some may consider hims a mental case, some, maybe even unborn people, might praise him as a hero cause he put his life on the line to stop the ending of other lives. Weird scenario but when it comes down to it, he was right about them killing babies. BTW, the folks at INFOWARS have been talking about how the left is moving in this direction for sometime once again proving them right. I was able to schedule an abortion in my 9th month of pregnancy by saying I was depressed! My baby could be murdered for the price of $17k!